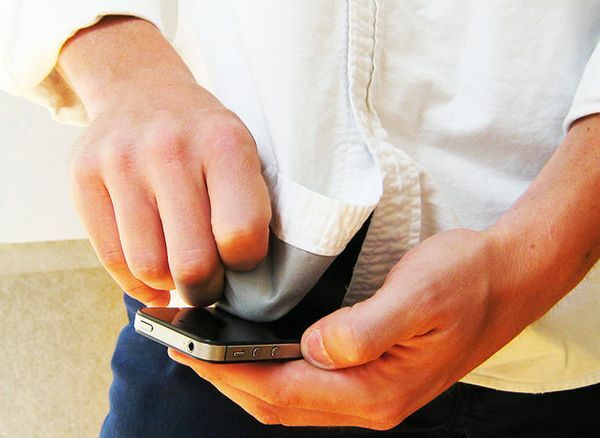 Dressy Shirt Features Microfiber Patch To Clean Your Gadgets With | OhGizmo! By David Ponce on 06/25/13 • Leave a comment! Smudges here, smudges there… no matter how oleophobic your gadgets claim to be, they’ll always smudge to some degree. You can live with it, or obsessively wipe them every chance you get. If you happen to be wearing this Oxford Shirt from VoyVoy, you can just tuck out one of your front shirt tails and wipe your device with the patch of microsuede sewn on the inside. Because everyone knows that microfiber cleans better than regular fiber, right? That’s gotta be worth the $98 asking price for this shirt… Right? !